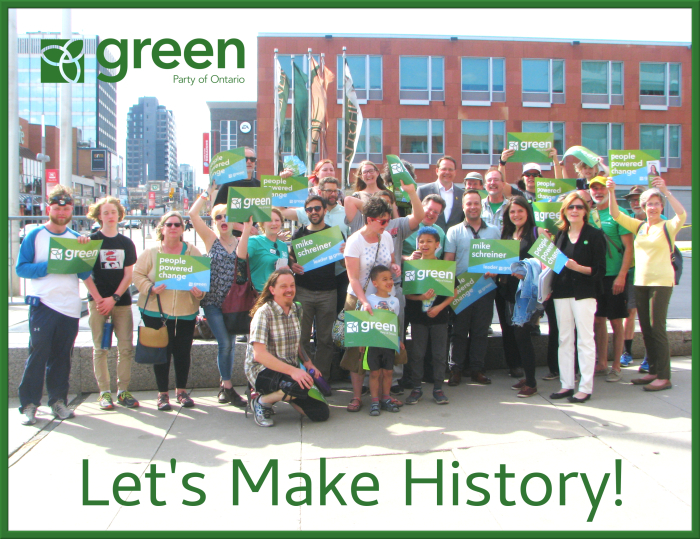 I’ll be at the WRGreens campaign office at 6 Duke Street East in Kitchener Map on Thursday morning to drop off some stuff: Whiteboard, wall calendar, two tables with tablecloths, mops and pails. I may pick up some dishsoap and vinegar, my universal eco-cleaning agents of choice. Then going to the printer to pick up the KitCon signs (they weren’t ready Wednesday), and back to the office to drop them off. I’ll be away for the afternoon, but others will be there all day long setting up. On Friday I’ll go back to the printer to pick up the remaining KitCon signs, put some up in the south-west section of the riding (Wilmot, Kitchener), then return to the campaign office to help clean up and set up the office. Late afternoon putting up the remainder of the signs in the north part of the riding (Woolwich), then some canvassing in Elmira. Drop by the office if you have some free time! We’ll hand you a paint brush (green paint, of course) so you’ll feel right at home.